From the Server list, choose a machine on which the necessary files or folders reside. The account you use to access the target server must have read permissions for the folder and all of its child folders. Click Add and browse to the file or folder that you want to back up. The selected item will be added to the list. 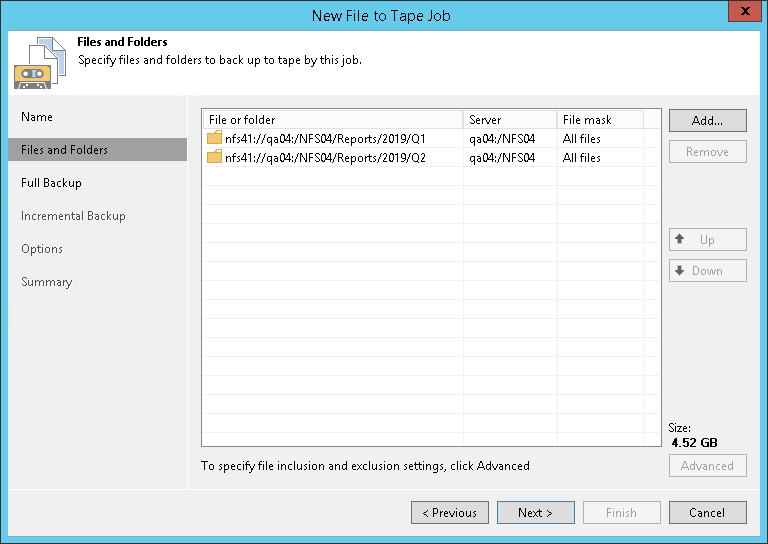 To remove a file or folder from the list, select it and click Remove. The sources of the backup to tape job are processed in order they displayed here. To move a source up or down in the list, use the Up and Down buttons on the right. If you include a folder to the job, all of the folder contents will be archived. If necessary, you can choose only specific files from the included folder. To do so, select a folder in the list and click Edit. 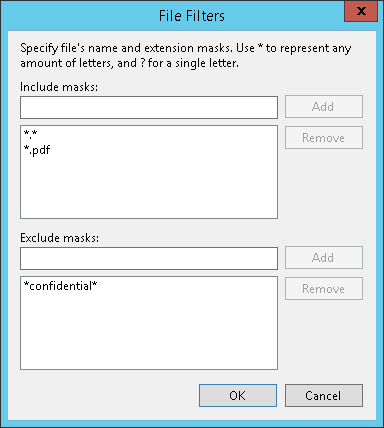 In the File Masks window, specify names of files in the folder that should be archived. You can use exact file names or create name masks (for example, *.evt or *.pdf). Separate file names and masks with semicolons.